A big update to Yahoo Mail for iOS has been followed up with a similar, but smaller update for those using the Android platform. With the update, Android users with the app will be able to create a list of everyone they have ever communicated with using it. This is called the "People Smart View." The sidebar will provide you with some options that you can use with this list. 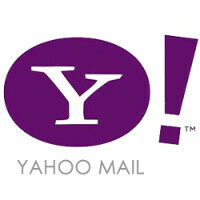 The update to Yahoo Mail will now allow Android users to sync their personal contacts with their Yahoo contacts. This probably isn't enough to make you jump up and exclaim "Yahoo!" If you don't want to mix the two lists, you are free to disable the feature in the Sync section of the settings app. The update also rewards you for cleaning out your inbox, by sending you a celebratory message. In addition, a number of new animations have been added. Android users are being given the opportunity to install the beta version of the app; this allows them to have these new features on their phone before other Android users. If you haven't received the update to Yahoo Mail for your Android phone, go to the Google Play Store main menu. Click on the hamburger menu on the upper left of the screen. Tap on "My apps & games," and scroll down to Yahoo Mail. Click on the update to receive it.